Leicester City could take yet another huge step towards an incredible Premier League title as they host Southampton at King Power Stadium on Sunday afternoon. 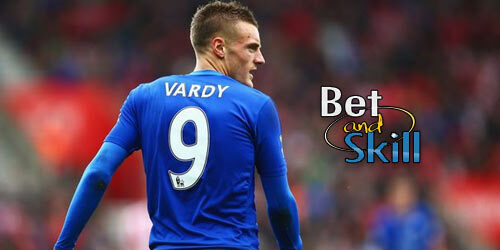 Read here our LEICESTER v SOUTHAMPTON betting preview with predictions, betting tips, enhanced odds, probable lineups, bookmakers promotions and no deposit free bets on Sunday's matches! Leicester are 4 points at the top of the table with this game in hand as Tottenham drew 1-1 with Liverpool yesterday. They recorded a 0-1 win at Crystal Palace before the international break, their third consecutive victory in Premier League. The Foxes are now W7-D2-L1 through their last 10 in the league and they have lost only one of 15 home EPL fixtures this term. Furthermore, Ranieri's men have kept a clean sheet in 6 of their last 7 home matches. Claudio Ranieri could once again named an unchanged starting XI. In fact, Kasper Schmeichel did not pick up an injury on international duty despite reports claiming he had. Riyad Mahrez and Marc Albrighton are expected to start out wide in the 4-4-1-1 formation, with Shinji Okazaki starting in the support striker role behind Jamie Vardy. Midfielder Andy King should be fine and fit and Matthew James is the only injury problem in Leicester’s squad. Following a 2-0 defeat to Bournemouth a few weeks back, Southampton have turned up the heat, beating Stoke City side away from home before coming from two goals down to beat Liverpool 3-2 in their last match before the International break. The Saints are still in with a shout of finishing fourth as they are only four points off Manchester City entering this matchweek. They are W7-D2-L2 through their last 11 in the league and are 7th on the table with 47 points. Ronald Koeman could stick to the side that finished so strongly against Liverpool, which would see Sadio Mane and Victor Wanyama come in for Dusan Tadic and Jordy Clasie. Ryan Bertrand has been passed fit and should out Matt Targett at left-back. Charlie Austin is still out with a knee problem, while Florin Gardos and Jay Rodriguez are short of match fitness. The reverse league match earlier this season ended in a 2-2 draw at St Mary's, but Leicester recorded a 2-0 victory when the pair met at the King Power towards the end of the previous campaign. Leicester (4-4-1-1): Schmeichel – Fuchs, Huth, Morgan, Simpson – Albrighton, Kante, Drinkwater, Mahrez – Okazaki – Vardy. Boosted odds! 7/1 Leicester to win the match! Best price! 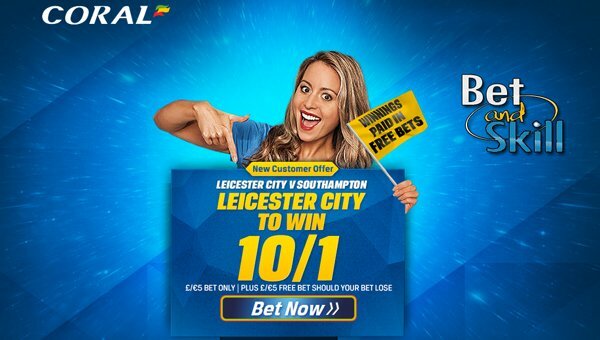 10/1 Leicester to beat Southampton + £5 free! 5/1 Leicester to win the Premier League title! Risk-free! Price Boosts! 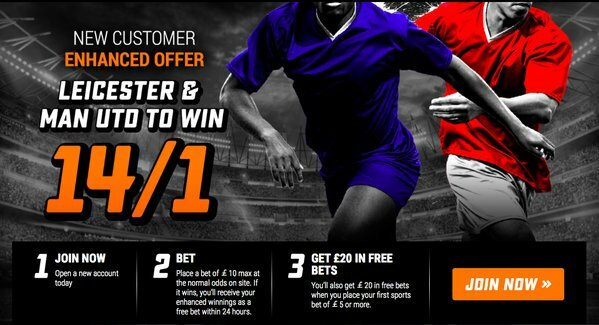 7/1 Leicester to win + £100 bonus! Risk-free! "Leicester v Southampton predictions, betting tips, lineups and odds (Premier League - 3.4.2016)"